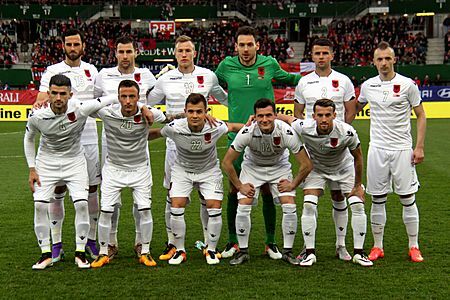 Albania national football team is the national football team of Albania. 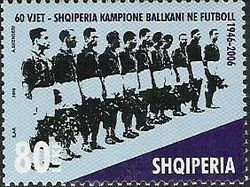 Although it never played any matches, the Albanian national football team existed before FSHF was created. This is witnessed by the registration of the team in the Balkan Cup tournament of 1929-1931, which started in 1929 (although Albania eventually retired from the competition, before the competition started). FSHF was founded on June 6, 1930, and Albania had to wait 16 years to play its first international match, debuting against Yugoslavia in 1946. In 1932, Albania joined FIFA (during the congress June 12 — June 16) and in 1954, it was one of the founding members of UEFA. Albania national football team Facts for Kids. Kiddle Encyclopedia.